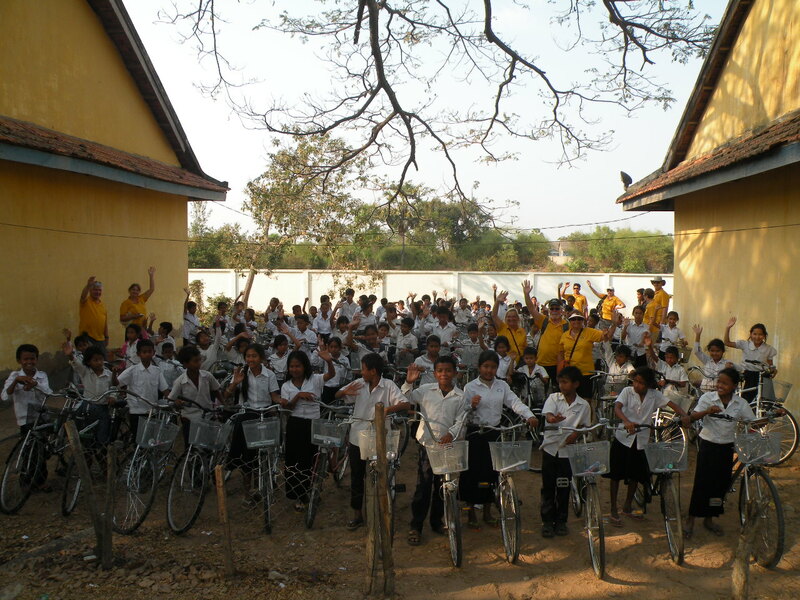 Home » Rotary Wheels For Learning » Rotary Wheels for Learning Bicycle Distribution Trip 2014 Report and News about our 2015 Distribution in Cambodia! 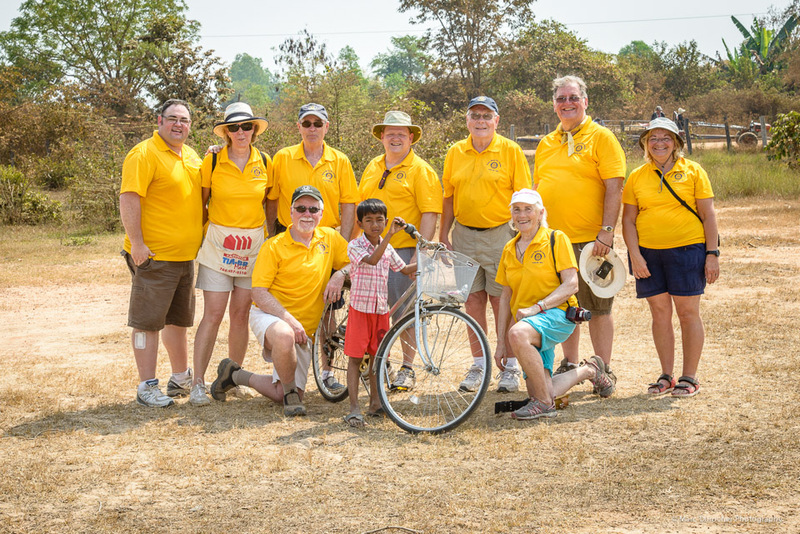 During January and February 2014, our Team of Rotarians & Friends from across District 7010 (Ontario, Canada) provided 1,333 Cambodian children with bicycles enabling them to get to school. This, our third distribution trip to Cambodia, has now provided a grand total of 3,661 bicycles to impoverished children across the country. 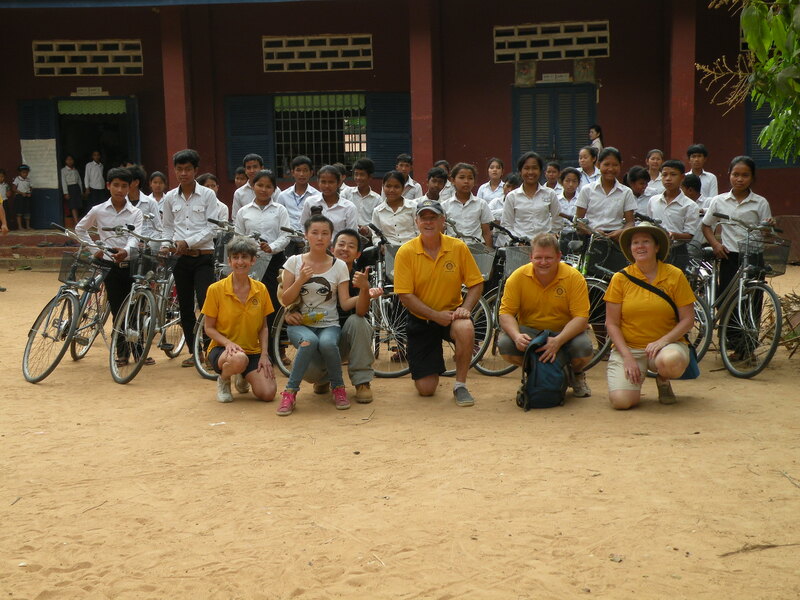 The 2014 team traveled throughout Cambodia from January 25th to February 17th and distributed bicycles in 12 target locations in five provinces (Takeo, Kampong Speu, Siem Reap, Battambang and Phnom Penh). 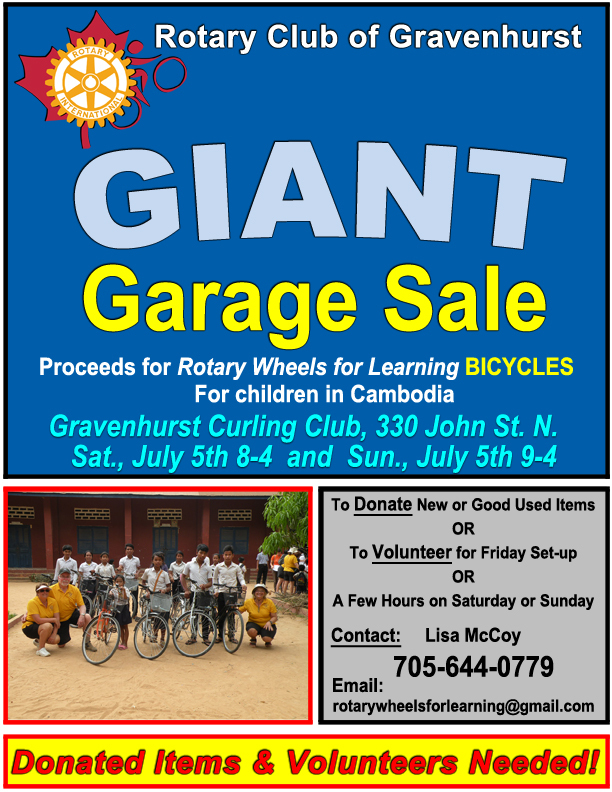 Our 2014 Rotary Wheels for Learning Bicycle Distribution Team! During our five days of distributions in Battambang, we were joined by members of the Rotary Club of Battambang, Marram Woods from the Rotary Club of Haliburton and spouse Glenn, John Tange from the Rotary Club of Store Heddinge, District 1480, Denmark, and spouse Britta. We were also very pleased to have Ken Little’s (Rotary Club of Gravenhurst) daughter Karly and her friend Kathleen Cook join us in Battambang to add their muscles to the bike assembly work. We were very fortunate to have as our Local Guide and 24/7 Translator, Sophea Keo. He took care of our every need. Sophea is one of our A Mine Free World Foundation and Banyan Learning Tree volunteers here in Cambodia. One other special thanks is extended to team member Marc Durocher – who expertly photographed every bicycle recipient and all of the highlights of our trip. Om Chamnap, of Banyan Learning Tree and Rotarian Nouv Saroeun deserve a special round of thanks – they made sure that every bike got to its target location ahead of our team. Our team’s work involved attaching the pedals, lamps, bells, baskets and brackets to the bicycles that were delivered by trucks to our distribution location sites. We also straightened out all the handlebars, pumped hundreds and hundreds of tires, and performed ‘surgery’ to all the bikes that befell damage during shipment on the rough Cambodian roads. Bicycle Distribution Ceremony planned. Members from our team would take turns attending the ceremonies and providing speeches to the local children and parents. One of our distributions was filmed and televised by Cambodian Channel 5. Our team also brought over suitcases of donated items – school supplies, toys and clothes, laptops and toothbrushes and toothpaste, which were distributed at each location. Our team and its donations, bike tools and parts traveled many long hours on our 45-seat bus to each bicycle target location. At each of our distributions, members from our local team provided a dental hygiene lesson, with demonstrations given by our team members on ‘the proper way to brush’. Following the lesson, we provided each child with a tube of toothpaste and a toothbrush. We all had a fabulous time whether at work or ‘at play’. Most of the bicycles were distributed in the rural areas, where our team worked alongside with rural folk on the bicycles. 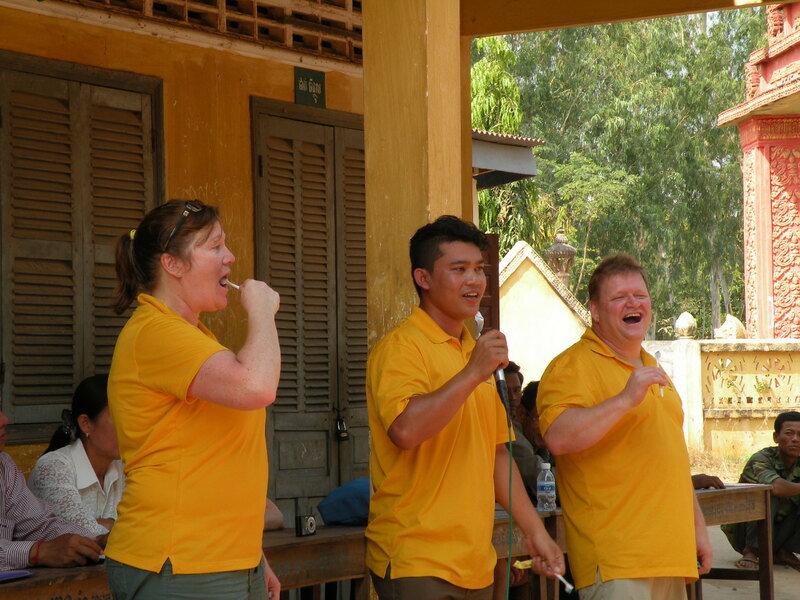 We also enjoyed many village-level experiences including cooking, boating and the local Battambang ‘Bamboo Train’. 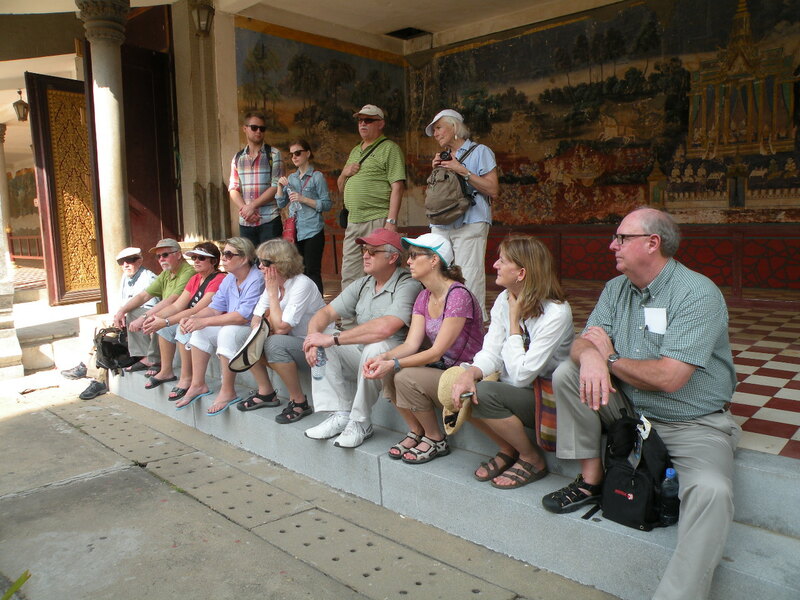 Our team also visited many cultural and historical sites including Angkor Wat, the Killing Fields, Camp S-21 Genocide Museum, the Royal Palace, Phnom Sampov, a Silk Farm and the Cambodian Landmine Museum. At the end of the trip, we enjoyed three full days swimming, snorkeling and boating on the beaches and islands near Sihanoukville- a refreshing rejuvenation after sweating on bicycle assembly for three weeks under the hot Cambodian sun with temperatures in the 30’s most days. Our team of Rotarians and Friends gave their all to make sure each child received a bicycle in top-notch working order. All this would not be possible without the generosity of each person, business, club or organization that donated bicycles to the cause. We also pass along thanks from each child that received a bicycle. 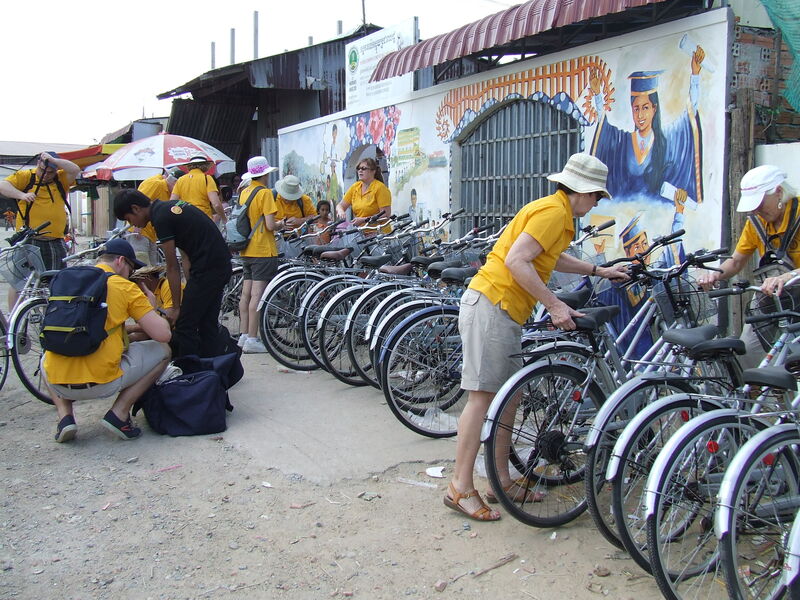 We already have a team forming to head over to Cambodia to distribute more bikes to needy children. 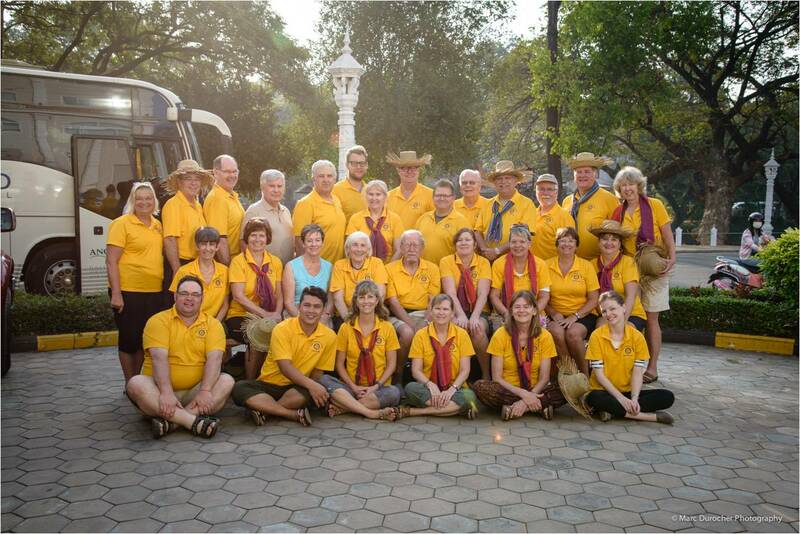 The three-week trip is open to all Rotarians and their Friends. The date is January 27th (arrive in Phnom Penh) to February 17th (depart Phnom Penh). Participants are responsible for booking their own return airfare (approx. $1,300 to $1,900) and ground costs including all transportation, accommodation and meals approximately US$2,200. Svay Chrum District in Svay Rieng Province, Chi Pat in Koh Kong province, Phnom Penh, Battambang Province, Siem Reap Province and Takeo Province. We need donations. Giving $50 towards our 2015 bike distributions, you can provide one child with a sturdy bicycle for in your name or in the name of a friend. Canadian donors you will receive a tax receipt and everyone a thank you letter. Once the 2015 distribution are complete, you will receive a photo of the child you supported with a bicycle.